Another enormous transformation in the role of the B-to-B CMO is occurring. In addition to having responsibility for ROI, CMOs are now finding themselves responsible for customer engagement. In some ways this is a natural transition. The customer is now in control and demands a holistic, B-to-C experience in B-to-B interactions. Second, marketing is the team that creates the brand narrative. Third, marketing is now the owner of key technology and data centered on the prospect/client experience. Taken together, it makes sense for the CMO to embrace, whether in title or as a capability, this new responsibility. So, what’s getting in the way? The idea of customer-focus as a competitive advantage is not new. In the 1990s, research on the concept of market orientation created the baseline for why having a customer focus pays off. Market orientation is defined as a company-wide capability to sense and respond to changes in the customer. Empirical studies demonstrated that companies with market orientation (i.e. customer-focused) produce impressive results including sales growth, market share and profits. 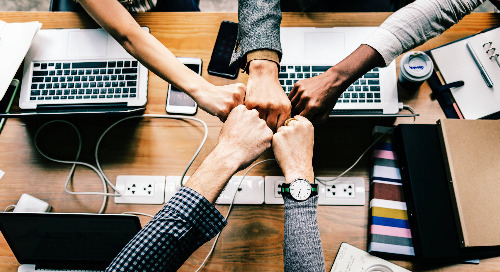 Companies with a strong marketing orientation are better at attracting and retaining customers and at implementing new ideas, products and processes. In 1995, Michael Treacy and Fred Wiersema published the groundbreaking book, The Discipline of Market Leaders, in which they touted that customer intimacy was the way to win in highly competitive markets. 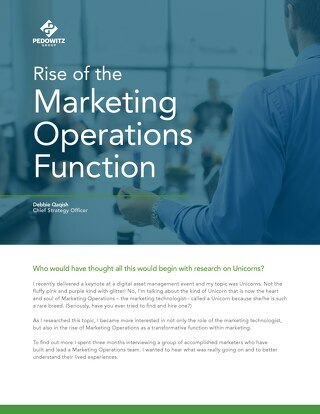 Understanding there is an actual measurement of market orientation (customer focus) and that this must be a fully adopted strategy from the top to the bottom of the organization is essential for the CMO to CCO transformation. 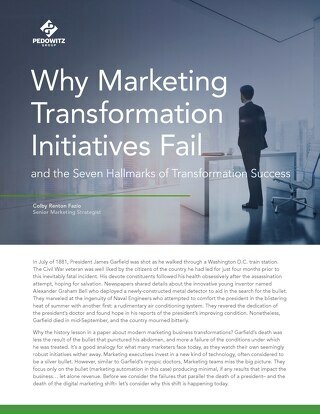 The first barrier to this transformation is a lack of true, operationalized customer focus in an organization or a lack of a strategy for this direction. Too often we see CMOs and other executives talk about customer focus but fall short of operationalizing customer focus across the company. The second barrier to CCO transformation is both the recognition of the required skills and actually possessing those skills to become a CCO. Today’s B-to-B CMO is responsible for the brand narrative and pipeline and revenue growth. Beyond traditional marketing skills, this kind of CMO is also data-driven. The plethora of new technologies has enabled the CMO to adopt data and analytics as a way to run the business of marketing and produce credible business results. This is a great skill foundation for the transformation to CCO, yet other skills are needed that speak to a more holistic responsibility. Important skills for the CCO include cross-functional operationalization, collaboration and design. A key difference in a CMO and a CCO is the breadth of their influence. A CMO is more focused on the marketing silo while the CCO has fingers in every part of the organization that touches the customer. This includes sales, service, customer support, customer success, R&D, engineering, etc. The CCO is responsible for stewarding the entire customer life cycle from prospect stage to advocacy stage. 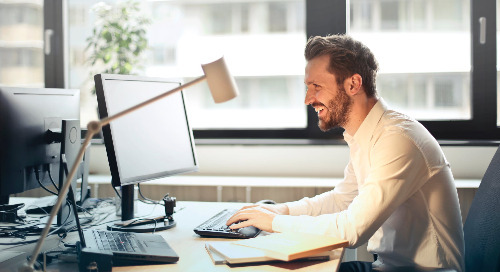 The CCO orchestrates, measures and optimizes every customer touch point with the company to ensure a consistent and delightful customer experience. This set of responsibilities requires skills in operationalizing a strategy, collaborating broadly and deeply across all areas of the company and designing the optimal customer experience. The third barrier to CMO to CCO transformation is the lack of access to and control of the customer-focused technology stack. B-to-C CMOs are much further down the path to becoming CCOs than their B-to-B counterparts because of their use of technology and data. This makes sense as the B-to-C experience is online, immediate and instantly measurable. The consumer as the prospect and the customer has been firmly in control for some time, and the technologies developed to respond to this new consumer behavior are sophisticated and rapidly evolving. In May of this year, I attended the MarTech Conference in San Francisco. Scott Brinker announced the MarTech 5,000, which is a graphic of the more than 5,000 technologies now available to marketing. In other words, the CMO is drowning in technology. As the CMO pivots to CCO, integration, organization and optimization of a large technology landscape will be a defining element of success. 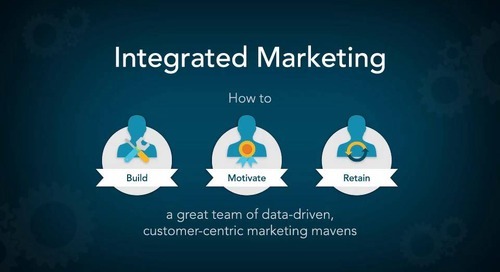 The marketing operations group is the key element to fully leveraging technology and data. 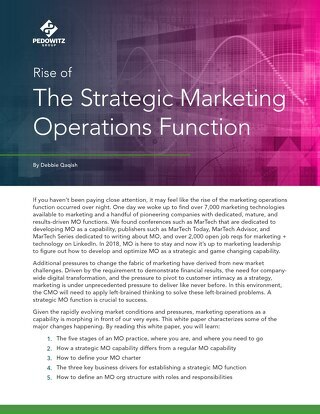 For the CCO, the marketing ops group—or a more broadly defined operations group—will be critical. Just like the B-to-C CMO who lives and dies by data encompassing every facet of the consumer life cycle, the B-to-B CMO will need to adopt a similar stance and affect the change through the right technology infrastructure. The role of the CMO is now one of the most dynamic in corporate America. The next-generation CMO represents a new kind of leader—someone who is extremely customer- and ROI-focused and can lead change. Nowhere is this more evident than in those organizations that adopt a real customer focus and have the CMO lead that strategy. In some cases, the CMO gets a new title. In some cases, a new title is added to the executive ranks. 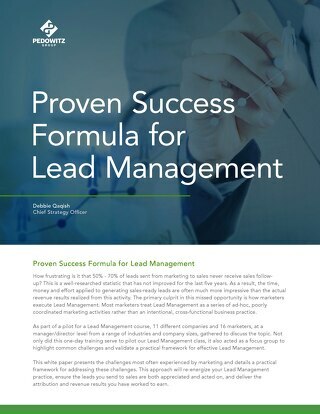 In either case, adding the ability to lead the company in a customer-focused strategy is a new element on the CMO’s scorecard. Are you ready? Given the rapidly evolving market conditions and pressures, marketing operations as a capability is morphing in front of our very eyes.  This white paper characterizes some of the major changes. 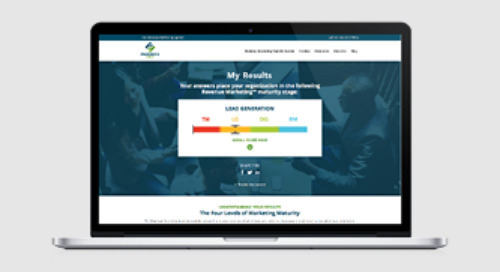 The Revenue Marketing Assessment allows you to gauge your marketing team’s maturity in relation to key attributes defined by The Pedowitz Group. 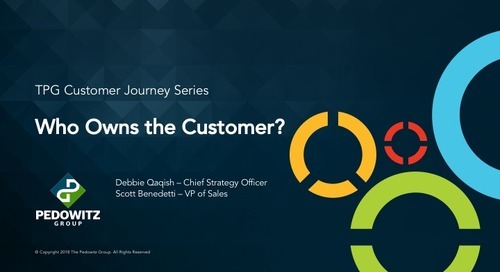 Quantifying the Customer Journey: Register for our July 17th Webinar! This article is about how powerful CMOs own the customer engagement and are on track to become CEO because of their customer knowledge. Webinar Slides: Who Owns the Customer Journey? TPG is moving beyond the marketing funnel as Jeff Pedowitz introduces TPG ONE™ – a Customer Lifecycle Map. How Can Your Company Operationalize the Customer Experience? As part of TPG ONE™ Kevin Joyce breaks down the seven steps your marketing operations can take to operationalize the customer experience. 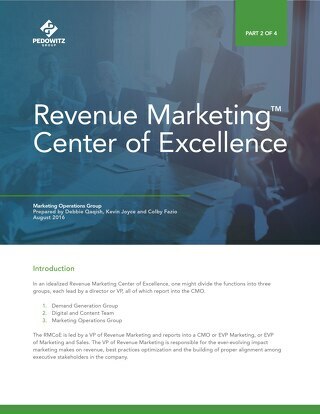 This 4-part Revenue Marketing Center of Excellence White Paper details how your organization should be structured, role responsibilities & skill-sets needed to drive pipeline & revenue. 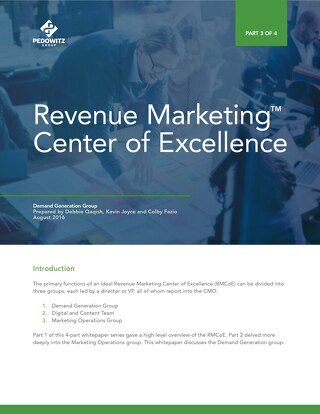 In Part 3 of the Center of Excellence White Paper you will learn a typical charter of a Demand Generation Group. 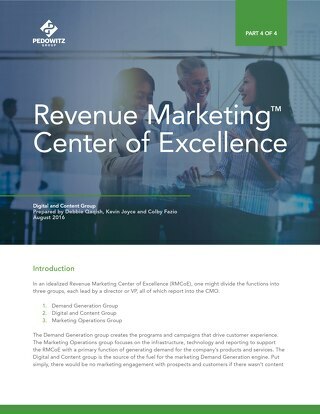 In Part 4 of the Center of Excellence White Paper you will learn the typical charter of a Digital and Content Group. 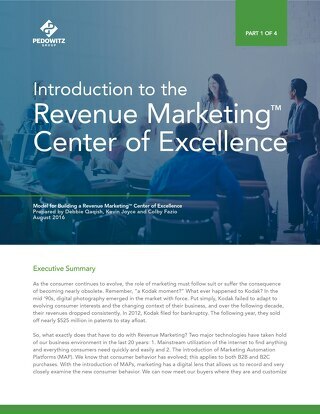 The Marketing Operations role is evolving and transforming B2B marketing organizations. 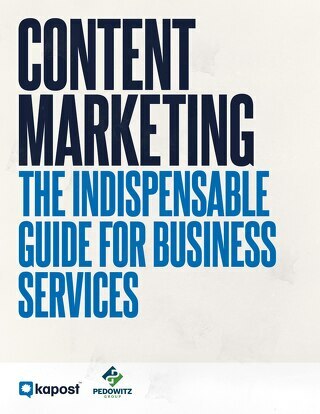 Content is the fuel for your marketing engine. However, content can be leveraged in a myriad of ways depending on how your audience consumes information.